CooksRecipes has quality, kitchen-tested recipes for dessert/sweet sauces and syrups that you can count on for successful deliciousness. 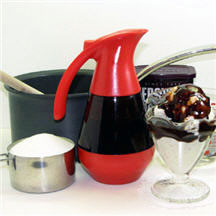 This easy and economical homemade chocolate syrup has many uses, drizzle over ice cream, flavor milk, or add to packaged brownie mix for richer, moist bars. 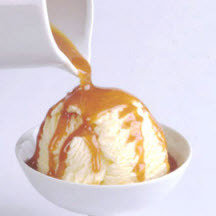 Cooking sugar is an art, but an art worth developing when the result is as good as this caramel sauce. Drizzle this luscious concoction over baked apples, waffles or vanilla ice cream. 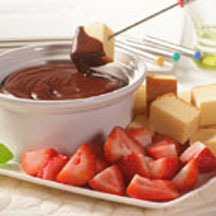 Evaporated milk, semi-sweet chocolate chips and a little vanilla make a creamy chocolate sauce you'll have trouble holding back on.